To all of my regular readers, I apologize for the lack of activity on this blog the last few months. With moving, new jobs, and and a new city I haven’t quite found the time to be doing writing, but hopefully now as things quiet down I can get back into the groove. The very first BI tool I used way back in the day was Qlik Desktop. It was an old edition that the company I worked for just had laying around and that the IT department didn’t want to use anymore. 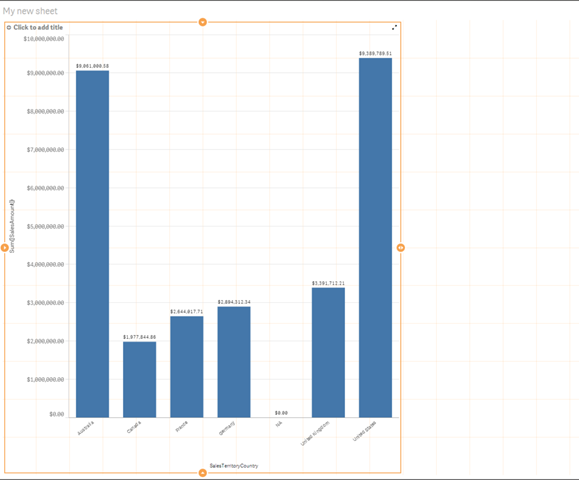 After I’d installed it and started getting used to the tool, I realized that I needed to remodel the data that I was connecting to into more of a star schema and thus – my journey into data warehousing and BI started. 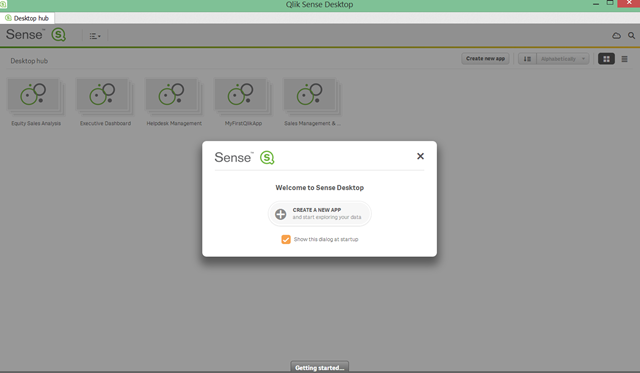 So when I heard last week that Qlik had released their next-gen product, called Qlik Sense, I was eager to go try it out and get a feel for the tool that’s been marketed as a complete makeover of Qlik. Click on the “Create a New app” link, and we’ll give it a name. I’m just going to call mine “MyQlikSenseTest”, and click Create. After the “successful” prompt, click “Open App”. Once you enter into the app, you’re given a choice as to whether you’ll be loading data from a flat file or from a database. 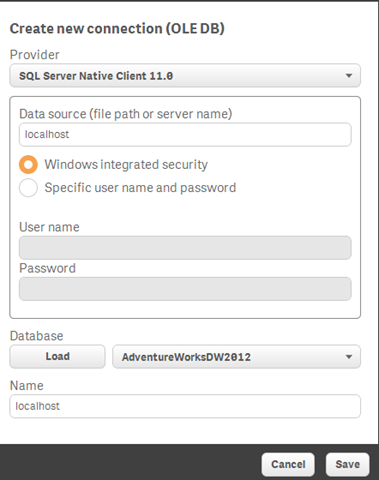 I’m going to click on “Data Load Editor” as I’ll be bringing data in from the Adventure Works DW database I have installed on the machine. 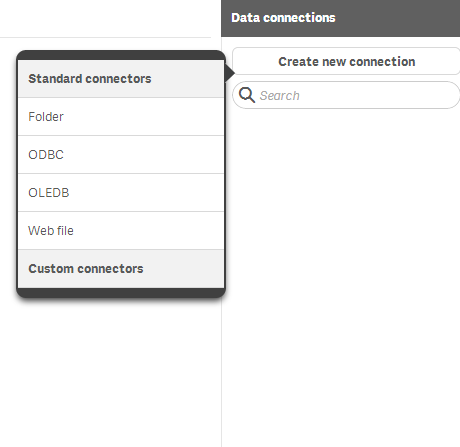 On the main page for the data load editor, over on the right hand side we want to add the connection to import the data. 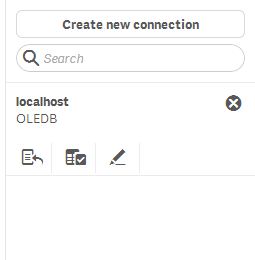 Click “Create New Connection”, and select the connection type you’d like. Since SQL Server is OLE DB natively, I’ll be using that for this test. The middle icon allows you to select the data that you want. 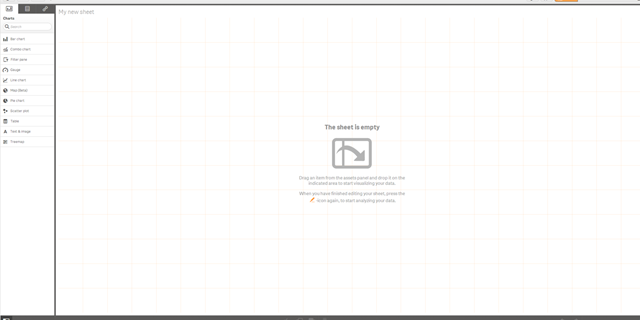 If we click it, we’ll get a data exploration tab that can be used to explore and view the data prior to importing it. I’m going to select where the owner is dbo, and get a list of all of the tables. I do wish that it would default to that, I can see trying to explain what dbo is to users and getting them to click it would/will? be a pain. I do really like the filter table feature, that’s nice. Let’s select FactInternetSales, DimCustomer, DimDate, DimSalesTerritory, DimProduct, DimProductCategory, and DimProductSubCategory, and click “Insert Script”. In the script pane in the middle, find the section loading the factinternetsales tables and find the OrderDateKey column. Change it from OrderDateKey to just DateKey and in the Select statement below, add an alias for the OrderDateKey as DateKey so the load will function. One nice thing is that if you click on a table name, you can go through and select just the columns you want to use for your analysis. 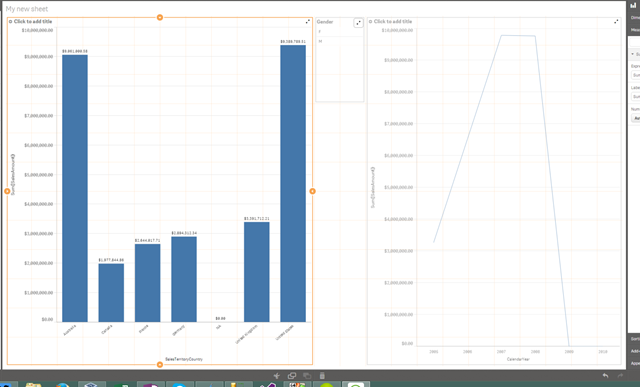 This is a nice feature, something very similar to what you can do in Power Pivot. Up at the top right is a “Load Data” icon. Clicking it will import all of the data into the interface. Now we have some data we can work with. Once you load it, switch the view up in the top left of the screen by clicking on the compass icon and selecting data model viewer. There should be a relationship between the fact table and all of the related tables. When you’re done, click done up at the top right of the page, where the edit icon used to be. With Qlik, if you want to publish it you have to have Qlik server, which requires a license. In summary, importing data doesn’t seem to have changed much from the old Qlik Desktop in terms of syntax, but it has a nicer and fancier interface which should appeal to the masses. In my limited review of the product, it looks nice and I can see why Qlik is proud of it. I do like it as a tool and can see where companies can benefit from it. My personal opinion is that it brings Qlik up to speed with the Tableau/Power View contingent of the world, but I didn’t see anything truly groundbreaking and revolutionary in the product. Another BI tool into an increasingly saturated market. A major selling point that is awesome about this product though is that the desktop edition is free, you’re just paying for the server, unlike the Tableau’s of the world which charge you for both the desktop and server versions.